In an emergency situation, you need to be sure you’re working with the right people. For this particular job, we got a call from a very distressed couple in Georgetown area of Washington DC. 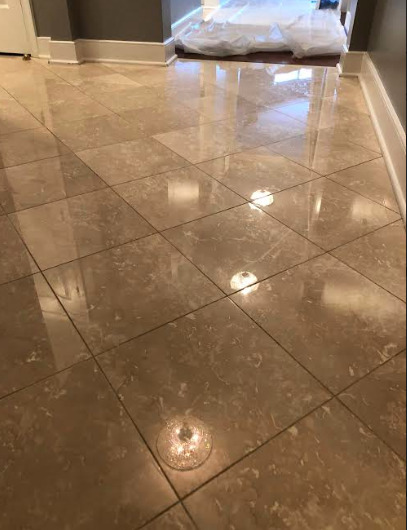 They had recently purchased a home that came with these intricate marble floors and were wondering if the marble could be brought back to life or if they had to replace it and start over, and we think the results speak for themselves!! 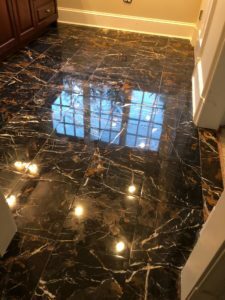 We used the full range of diamond pads on these floors when we honed them, starting at the largest grit and working our way up to the finest due to the characteristics and intricacies of this particular marble. 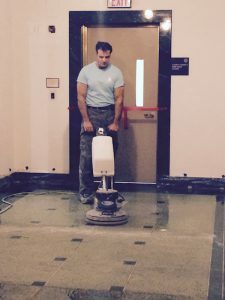 Once the marble was honed to perfection, we gave it a good polish and brought the homeowners in. Needless to say they were delighted! How Often Should I Reseal My Marble Counters? 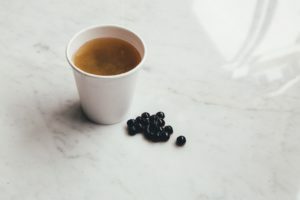 How long does stone restoration take? 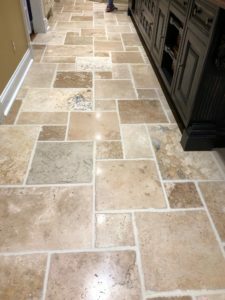 Travertine Floor Restoration |Georgetown, D.C.
Washington D.C., Northern Virginia & Maryland including Annapolis, Potomac, Great Falls, Bethesda, McLean and surrounding communities.